McEvoy Hornet Specials frequently appeared high in the result listings of the well known trials of the period. This 1931 model GK 4084, driven by A.J.G. Bochaton was one such car. Bochaton used GK 4084 exstensively throughout the period 1934-1937 and appeared in all the major trials excepting the ‘Colemore’, gaining a number of top awards. 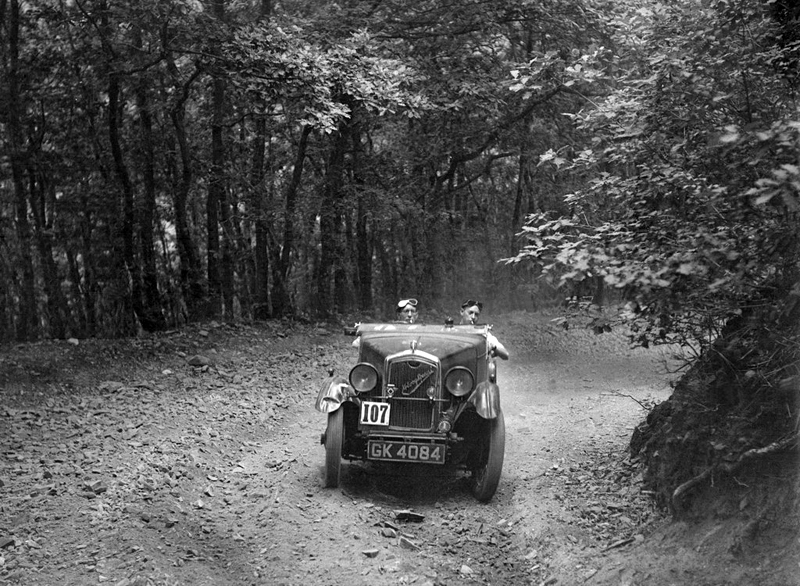 Here his slightly battered car is being driven through a Devonshire wood during the course of the 1934 Brighton-Beer Trial which was held in excellent weather on the 17th June that year.